(Saint Paul, MN, May 06, 2017) – On Saturday, May 6, 2017, at 10:00 AM, the General Defense Committee will rally against racists, white nationalists, and white supremacists on the steps of the Minnesota State Capitol. Our goal is to defend the working class against a white nationalist group from South Africa called the Suidlanders, and the poisonous message that their leader Simon Roche is slated to give. Our goal is to deny them a platform. Racists, white supremacists, and fascists are birds of a feather. They fly together. They work together. They are determined to create an America and a world where racial and gender minorities disappear, or are kept under their fascist boots. On Saturday, May 6 a flock of these bigoted birds plan to land on the steps of the state capitol in St Paul. The Suidlanders are a white supremacist group on the “down low”—that is, unreconstructed Apartheid-oriented white nationalists; racist wolves in sheep’s wool. The Suidlanders present themselves as Christians. But they are a peculiar bunch. They do not believe that black and white people, or white people and other racial groups, can live together in peace and justice. They support the subordination of women and the repression of nongender conforming persons. The Suidlanders are preparing for a race war in South Africa and have come to the United States to rally that segment of the white community that has been devastated by neoliberal global capitalism. In addition to rallying support, we suspect that they are here to secure guns in preparation for their race war. Many of the people that the Suidlanders and their American sponsors are focusing on are Trump supporters who mistakenly believe that blacks, Mexicans, and Muslims are the cause of their problems. This segment of the white working class has legitimate complaints about the unjust way that the capitalist system treats them. Like much of the non-white working class, the capitalist system has crushed this segment of the white working class through automation/robotics, off-shoring, and other forms of exploitation. Groups such as the Suidlanders and their American sponsors exploit the legitimate anger of the white working class by transforming what should be a class war into a race war. They urge this devastated segment of the white working class to misdirect their righteous anger toward vulnerable racial and gender nonconforming people rather than properly holding bankers, corporations, and politicians responsible. The Suidlanders are here to appeal to Americans who already share their poisonous views and to poach vulnerable members of President Donald Trump’s coalition. The greater Twin Cities community must come together to confront these bigots. We must defend our community. We must deny them a platform for their dangerous, hateful, and poisonous views. 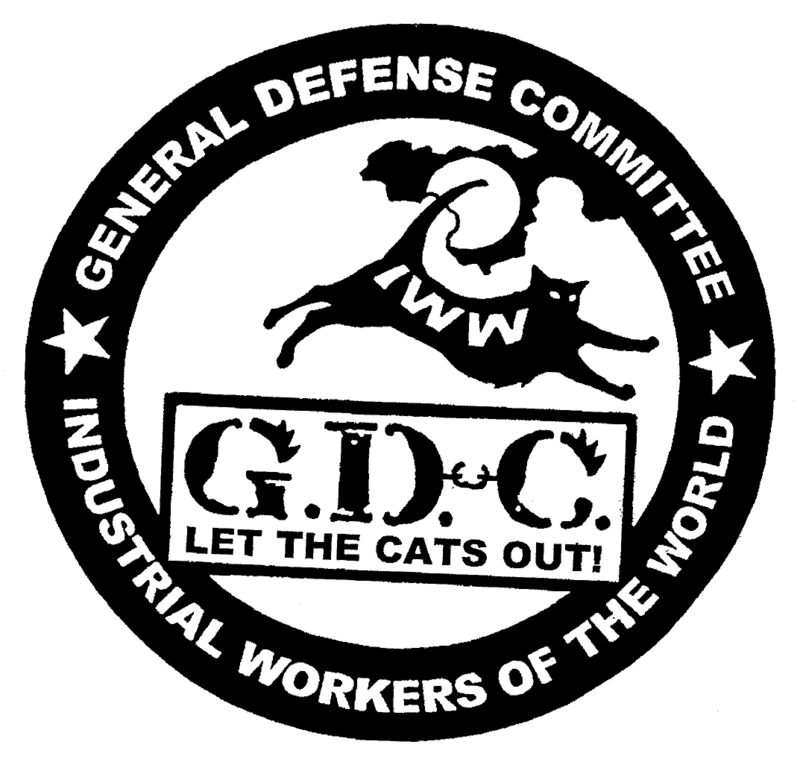 The General Defense Committee (GDC) of the Industrial Workers of the World (IWW) fights for the interests of the whole working class: all races, genders, and orientations. Why do we fight to deny these bigots a platform? We do so because some kinds of speech, fascist speech, undermine the very possibility of free speech. Like the liberal notion of “free trade,” free speech isn’t free. It can be very expensive, and the most vulnerable members of the community pay the costs. Fascists and white supremacists use the liberal notion of free speech to undermine the rights, legitimacy, and basic safety of those groups of people they wish to dominate and subordinate. Mexicans, Muslims, and, as always, black people, are in the crosshairs of the Alt-Right. These are the primary targets. But anyone who does not fit their narrow and racist views, who does not conform to their heteronormative vision of the real America, is a target. The GDC is dedicated to preventing that from happening. This appearance by the Suidlanders is part of a multipronged effort by the Alt-Right (the white nationalist and white supremacist right) to exploit the fascist and right-wing populism that is sweeping Europe and the United States. Their goal is to promote an exclusionary version of American identity and citizenship. This movement has recently shown its many faces on college campus, on the edges of President Trump’s rallies, and anywhere they can get a toehold and secure a public platform. The GDC says “No Platform!” to bigots, fascists, racists, and white supremacists. The working class includes all races, genders, and orientations. A threat to the working class anywhere is a threat to the working class everywhere. An injury to one is an injury to all. We urge the greater Twin Cities community to join us on May 6, on the steps of the Minnesota State Capitol in St Paul, to defend the working class. By making common cause, by showing up and showing out, we can defend the working class from this pernicious enemy by denying them a public platform.